Here is a new recommendation to get yourself healthy and keep your performance at the top. Create amazing artwork but don’t forget your health. 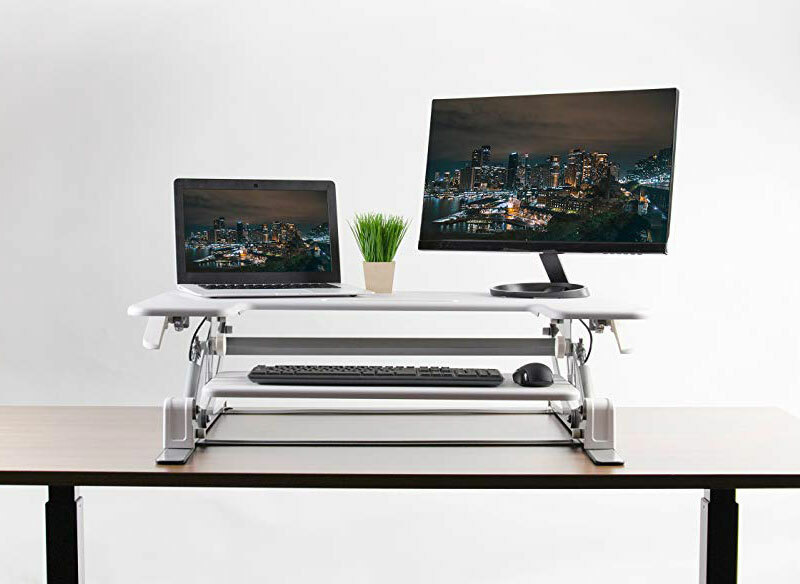 If you feel uncomfortable for sitting a long time while making your masterpiece using your Wacom tablet or mouse on your desk then there is good news for you, now you can make your traditional table into a standing workstation by placing this VIVO White Height Adjustable 36″ Stand up Desk Converter | Quick Sit to Stand Tabletop Monitor Riser on your table. You can easily get from sitting to a standing workstation in one easy smooth motion with dual pneumatic spring force. You can adjust according to your preferred height and proper comfort level by using the innovative simple touch height locking mechanism. Its assembly takes less than 30 minutes after taking it out of the box. 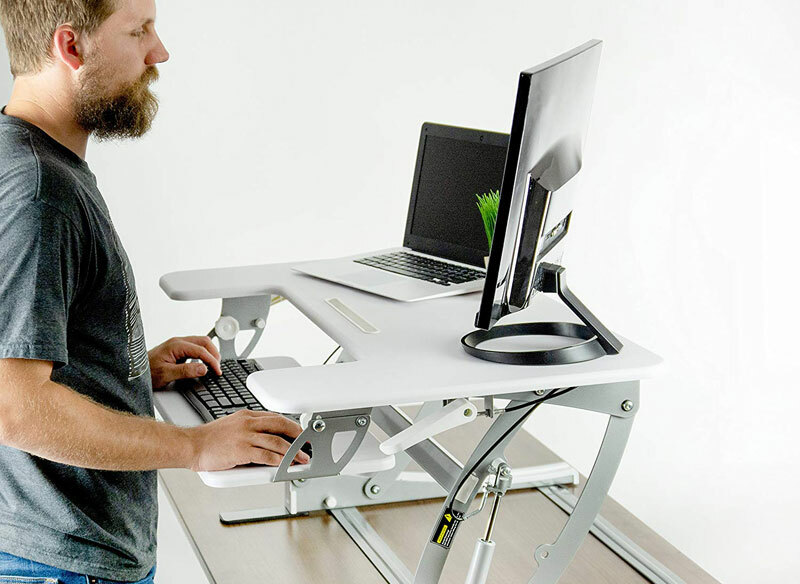 You can use this monitor riser for the sitting as well as for standing while working on your desktop or laptop. There are many diseases caused by long sitting hours like leg problems, muscle problems or even stomach problems. If you use this equipment, then you can work in a sitting position as well as in a standing position. You can switch between sitting and standing positions which can save you from lots of health-related issues like lower back pains etc. You can also adjust its keyboard level according to your needs. Overall this one of the best equipment you can have in your studio. Few days before I got a great animation project. I was so happy that I have this project which is not only a long term project but also excellent in terms of financial aspects. But the problem in the project was that it was too demanding and I have to sit almost nine hours continuously in nights, as well as, during evening times. It was really very hard for me to keep my eyes on the screen with all its blue lights and gamma rays. The end result was, I got burning sensations and red eyes with lots of secretions as well. I immediately consulted my eye specialist who told me that I got a temporary illness called Computer Syndrome, which occurred due to the long sittings and gazing screen without any eye protection. As expected, the doctor advised me to reduce my screen time and give rest to my eyes which I did for a whole week, but the worst part of it, I lost my beloved project due to my eye illness. After that, I consulted some of my other animation and graphic design colleagues which are also having long screen hours because most of them are graphic designers or animators or web designers. I was surprised that almost all of them advised me to have Blue Light protection glasses during work. I’ve taken their advice seriously and ordered my protection glasses immediately through Amazon and received my glasses in only2 days. 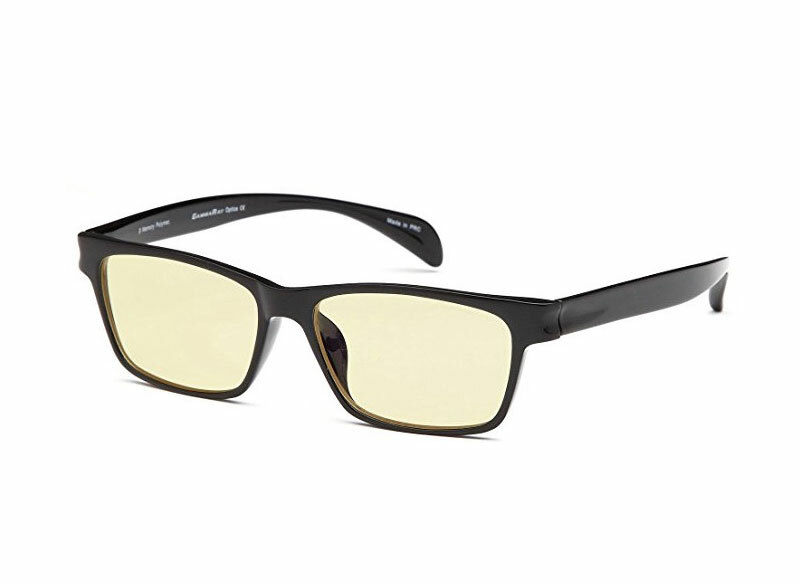 Now I’m continuously using these glasses and I reduced my eye burden almost 80% and I’m very happy now because I protected my eyes and now I’m working very comfortably without any eye complications so far. 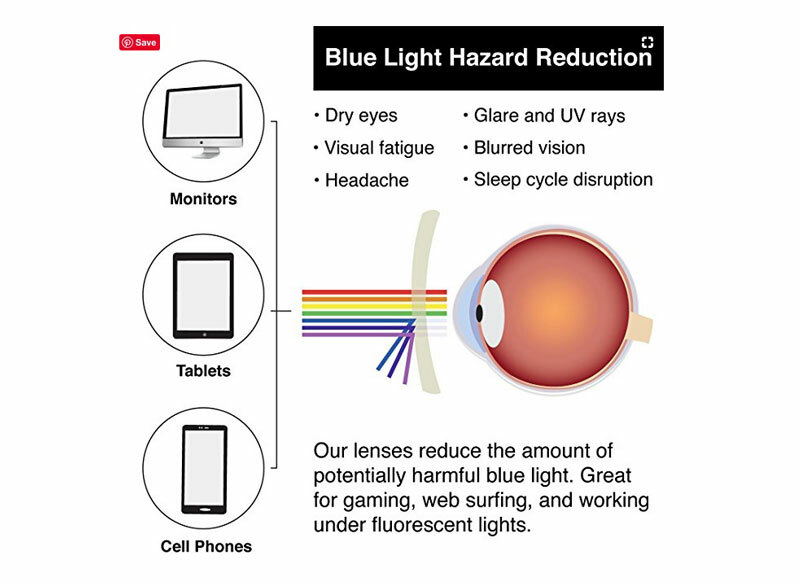 I strongly advise all folks who have long computer hours to use Blue Light UV Protection glasses while working on computer screens because your health should be your priority. The one other lesson I learned from my long hour sittings is that your sitting should be very very comfortable. You can say this that this is super important for your productivity and your health. 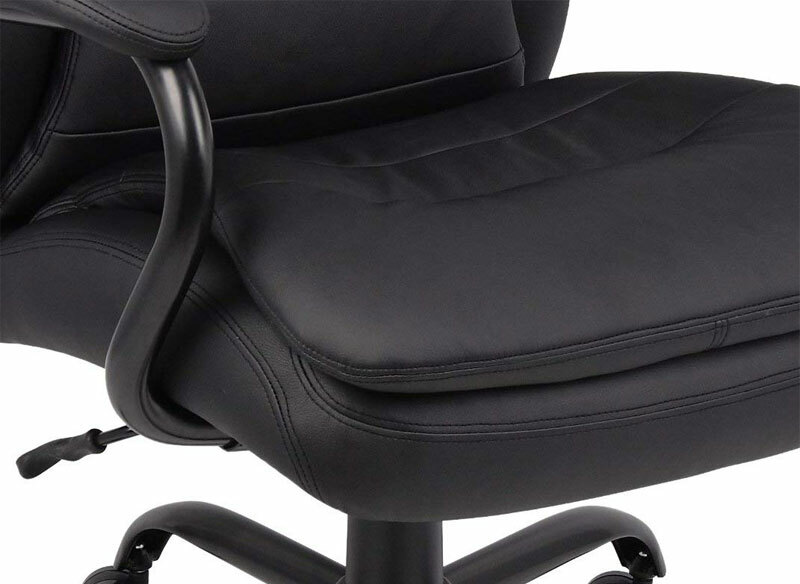 If you are using a normal chair for sitting long hours on your table then you are killing yourself!, yes that’s right, because after a few months you will surely acquire back pains and it will be harder to sit for your graphic design, animation or digital arts projects because similar projects required long sitting hours. 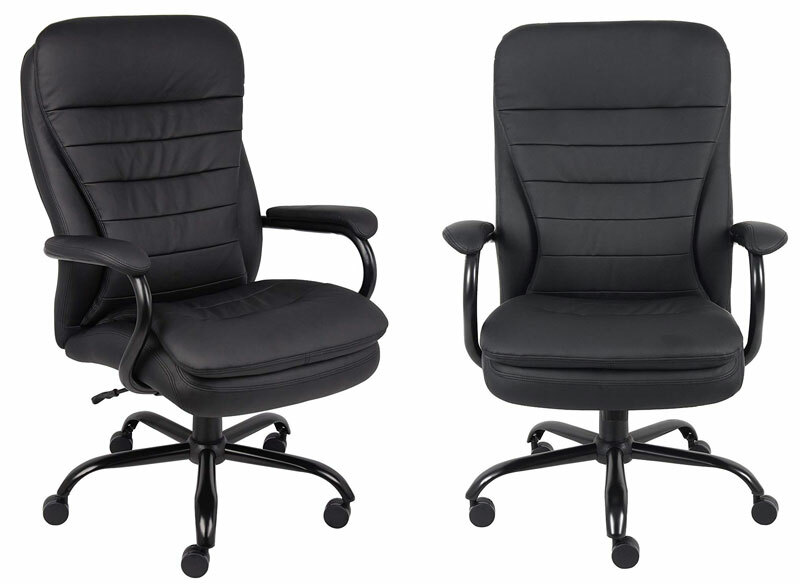 I recommend you to use the comfortable computer chair for your long sittings which are the normal demand for our graphic design industry. I will advise once again to all my design designer friends that please be very careful about your health because if for any reason, you lose your health due to negligence or not using the proper equipment necessary to keep you healthy in your design studio or workplace, then you will regret later. But the good news is you can stop this to happen by using proper equipment at your workplace and to create your next design masterpiece comfortably.